The whole world looked on in horror earlier this week at the startlingly clear images of the terrorist attack that took place on Bourke Street in the southern Australian city of Melbourne. The entire world was united in its condemnation of the attacks, in which one innocent man was killed, along with the terrorist, and three other men were stabbed, one of whom remains in a serious condition in hospital. But, inevitably, Australian politicians have shown far less respect and instead are already using the attack to try and justify their own ill-thought-through security policies. The main culprit on this occasion in Australia’s Home Affairs minister, Peter Dutton. Dutton has, of course, praised Australia’s police and security services for their response and urged the public to be vigilant. But he is already using the attack as a tool to justify his government’s hugely controversial anti-encryption law proposals. Regular readers may recall that we have written previously about the Australian Government’s hugely controversial Telecommunications Legislation Amendment Bill 2018. There are many areas of this bill which have proved controversial, but the most contentious by far is the power it hands to law enforcement agencies to demand access to encrypted communications. In other words, it allows Australia to demand that encrypted communications providers insert a backdoor into their product. Tech companies, online security experts, and just about anyone else who properly understands encryption has lined up to try and explain to the Australian government why this is such a bad idea. But to date, they haven’t managed to get the message across. Sadly, the dreadful events on Bourke Street only seem to have entrenched the Government’s uninformed opinions still further. Putting aside the rather tasteless political opportunism of these remarks, the facts, in this case, show that, once again, no amount of access to encrypted communications would have prevented the Bourke Street attack. While the terrorist, Hassan Khalif Shire Ali, was known to the Australian authorities, Dutton himself has admitted that they had no evidence to suggest that he was a threat or was planning an attack. He also confirmed that Shire Ali was not a member of Islamic State. In these circumstances, there is no reason why Australian law enforcement bodies would have been seeking to monitor his communications. Equally, neither Dutton nor the Australian law enforcement agencies have presented any evidence to show that Shire Ali was using encrypted communications to plan his attack. The Australian Government has long tried to justify their plans to destroy encryption by claiming it was in the interest of national security to do so. Now Dutton is trying to manipulate this tragic incident to fit his government’s narrative. It is irresponsible politicking of the worst kind, but Dutton is not the first politician to try it. Former British Home Secretary Amber Rudd made similar unsubstantiated comments after last year’s terrorist attack in Westminster. Meanwhile, British Prime Minister Theresa May was up to similar tricks after the London Bridge attacks. The anti-encryption bill is already wildly unpopular in Australia and Dutton’s attempts to use this terrorist attack to build support are doomed to end in failure. Australia has already seen a big spike in VPN use after recent changes to their data retention laws saw ISPs storing everybody’s online histories regardless of whether they were suspected of committing a criminal offence of posing a threat to national security. While any changes to the encryption laws might force some tech companies to act, VPNs based outside Australia will never comply with such requirements. This means that if Australian’s want to keep their online data and communications encrypted, all they will have to do is use a VPN. There are lots of premium VPNs like ExpressVPN and IPVanish which would be perfect for the job. 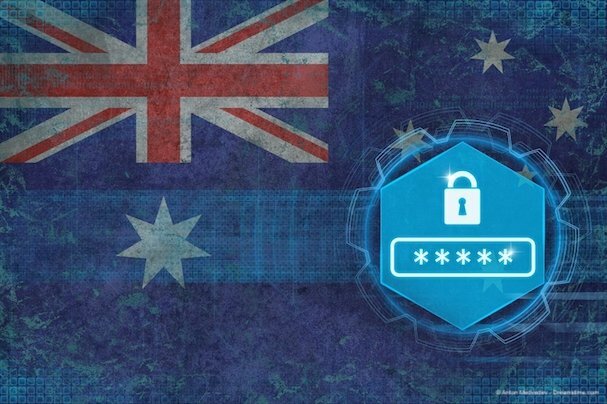 If you are concerned about Australia’s plans to undermine encryption, a good place to start your search for VPN is with our guide to the Best VPN for Australia 2018. Even if you think Dutton’s comments are merely posturing from a politician who knows he is losing the argument on encryption, it is well worth considering a VPN in any case. As long as Dutton is Home Affairs Minister, the threat he poses to online encryption remains. And if you want proof of the damage such politicians can cause, you only have to look at Australia’s data retention laws.